Fulham - Aston Villa predictions, betting tips and preview 17 Feb 2017 – A draw on the cards. Fulham - Aston Villa predictions for England Championship match at Craven Cottage, London. The both sides are too hot to lose and will continue their unbeatable run with a draw. Read on for live streaming info and our free predictions. Do you want to watch live streaming of Fulham - Aston Villa bet live? Go to Unibet Live Streaming and place winning bets! This Championship round will please us with the confrontation of the two league hottest teams! 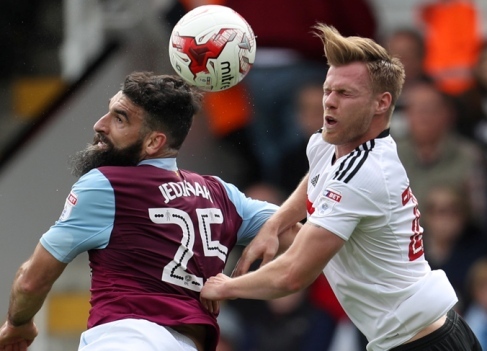 Both clubs are among the candidates for promotion, and now these sides are showing their best results – Fulham come to this match with seven wins and two draws, and Aston Villa won seven games in a row! These are fantastic records and today the competitors will try to prove their superiority. The Villans finished last year on a minor note, failing to win in five rounds, however, everything has changed this year! The Lions confirm their nickname and fight like real predators, having won the last seven games with a total score of 16:3! The guests look flawless on the defensive, and their forwards are not to be stopped by anyone! This is not to say that the team had a simple schedule, because they met with clubs such as Middlesbrough, Bristol City and Sheffield United, defeating these direct competitors with a total score of 7:0. Villans will be a real challenge for the hosts who are ready to this clash! Despite the guests impressive performance, the Cottagers also got something to brag about! Fulham has not lost in the last nine rounds, managing to score 25 goals, that is, on average more than 2.5 goals per game! Today, the hosts’ forwards will be resisted by the guests impassable defence, which conceded on average less than half the goal in the last seven rounds. Aston Villa has won with a clean sheet the last three outings, but Fulham has won the last six home games with a total score of 16:2. The irresistible force has met the immovable object! Hardly anyone can say which of these two teams is better today… It’s hard to believe that the Cottagers will be able to get the seventh home win in a row, even more incredible is the eighth consecutive victory of the Lions – a draw can satisfy both sides.